Seattle Refrigerator Repair | GE, Electrolux, Maytag, Sub-Zero, Thermador, Dacor, DCS, Bosch, Tappan, Westinghouse, Samsung, Viking, Asko, Whirlpool, Amana, Frigidaire, Kenmore, Jenn-Air, KitchenAid, LG, and more. 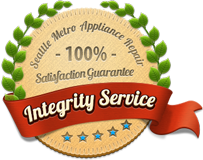 Seattle Metro Appliance Repair is the leading choice for refrigerator repair in Seattle and the surrounding area. 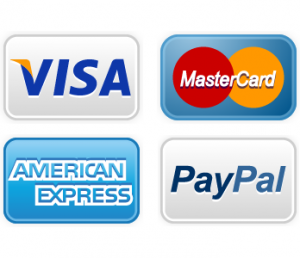 Our goal is to repair your appliance quickly and affordably to your complete satisfaction. When we do that, we’ve done our job of gaining another satisfied customer who we hope will be happy to recommend us to others. Our experienced and fully-trained Seattle refrigerator repair technicians have the ability to repair any appliance that cools or freezes including ice makers, freezers, under-counter refrigerator, beverage coolers and wine coolers. We’re here to be the only appliance repair service in Seattle that you consider calling. On a daily basis, we repair refrigerators, dishwashers, stoves, ranges, cooktops, ice makers, compactors, garbage disposers, clothes washers and dryers. We take pride in being your one-call total appliance repair service. We repair all major brands including GE, Electrolux, Maytag, Sub-Zero, Thermador, Dacor, DCS, Norge, Gibson, Bosch, Tappan, Westinghouse, Samsung, Viking, Asko, Whirlpool, Amana, Frigidaire, Kenmore, Jenn-Air, KitchenAid, LG and more.